In accordance with the tradition so far, we finally managed to assemble a film summarizing our last trip. Spring in Crete is a good time for hiking, so in our short clip you could not miss shots from this type of trips. We invite you to watch. ten fiord w końcowym fragmencie filmu to gdzie jest? 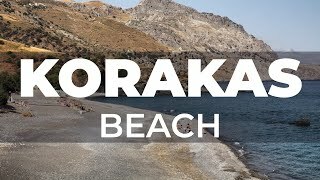 Korakas is a little known beach located in the mountain town of Rodakino in the south of Crete. Despite the fact that it is 400 m long and is quite wide, it does not attract too many tourists. Along the charming bay there are several taverns and guest houses. 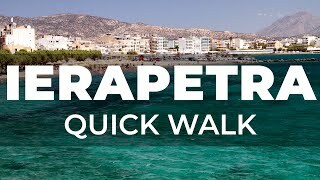 Ierapetra (Ιεράπετρα) is the fourth largest city of Crete and also the largest town located in the Lassithi prefecture. It is located on the south-eastern coast of the island, in the place of its characteristic narrowing. The name of the largest city in this part of Crete is by no means synonymous with some astronomical number of people living permanently in Ierapetra.